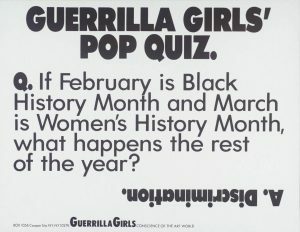 Florida SouthWestern State College will be presenting GUERRILLA GIRLS: Rattling Cages Since 1985 from January 17 through March 23. Sited in the Bob Rauschenber Gallery, the exhibition will be a site-specific survey and newly-commissioned, interactive installation. 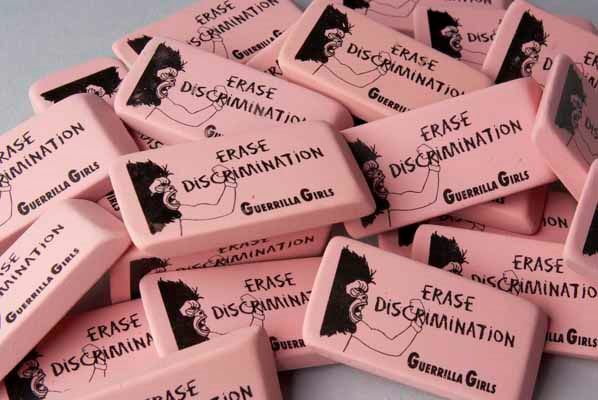 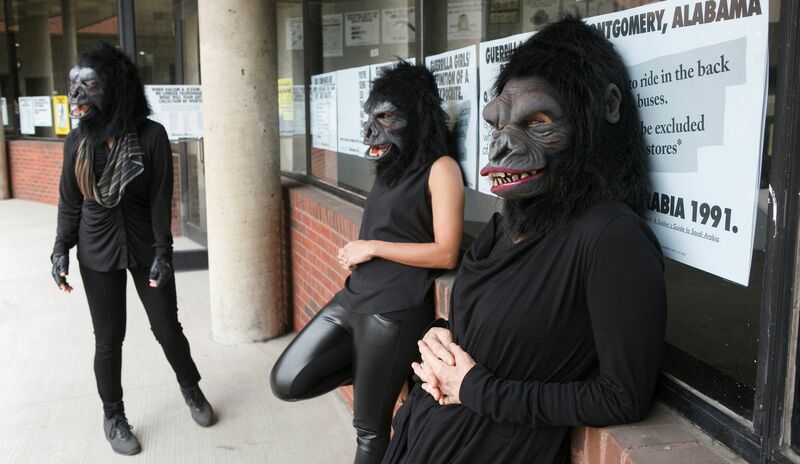 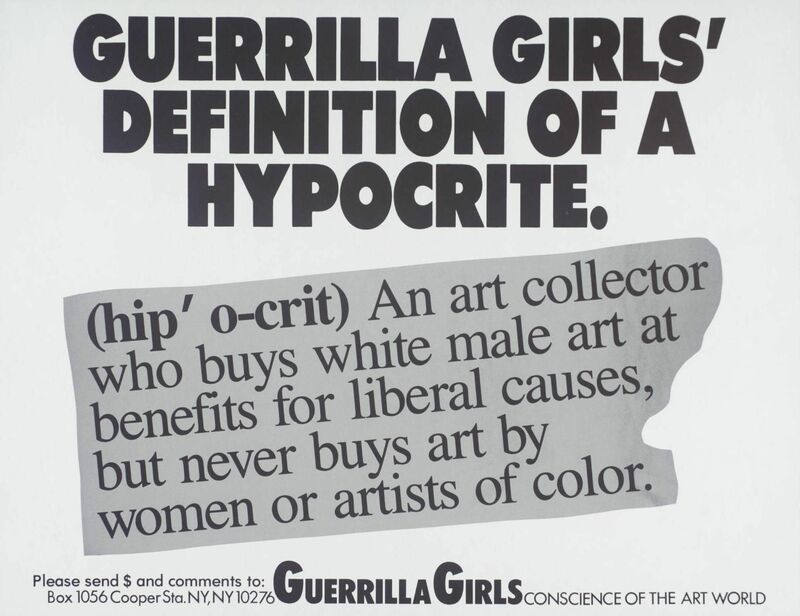 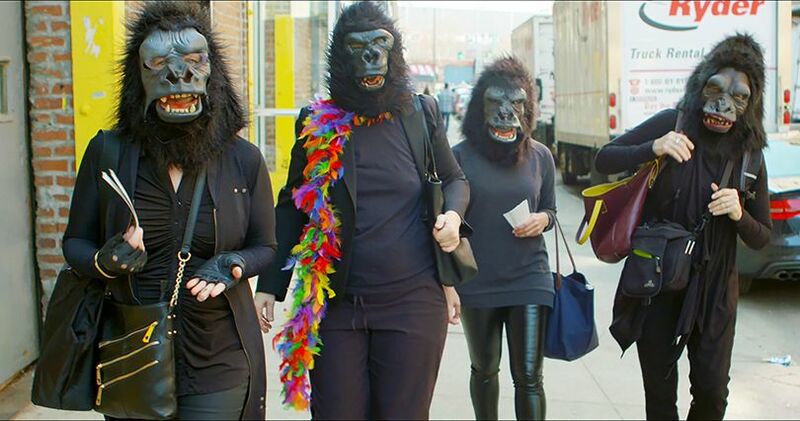 The Guerrilla Girls is an internationally-renowned feminist advocacy and art collective which assiduously maintains its anonymity while confronting and addressing systemic problems of gender and racial parity in the art world. 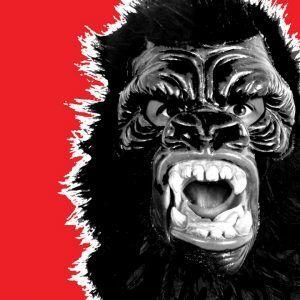 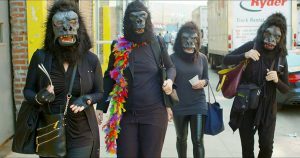 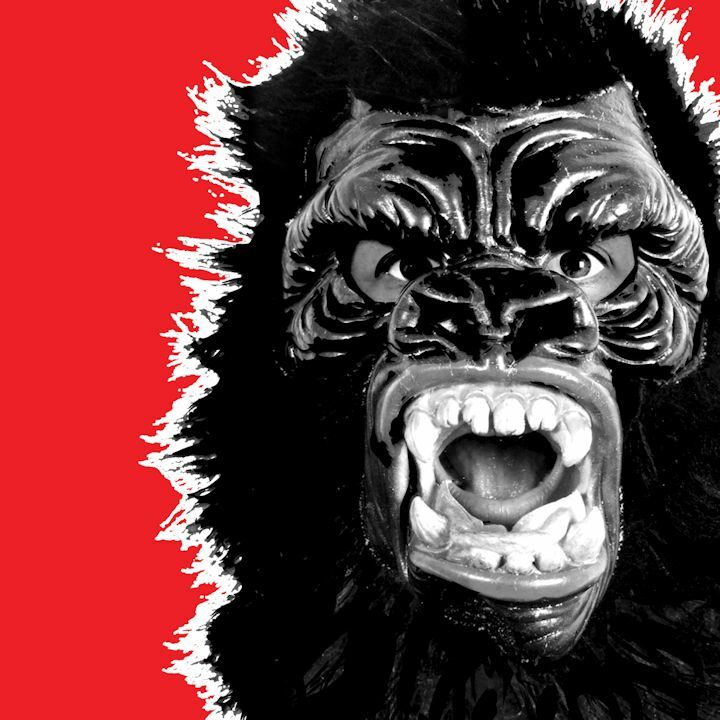 Since their formation in 1985, the Guerrilla Girls have done more than 100 street projects, posters and stickers in cities ranging from New York, Los Angeles and Minneapolis to Mexico City, Istanbul, London, Bilbao, Rotterdam and Shanghai. 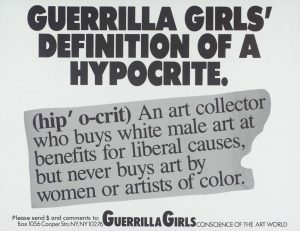 They have also done outrageous projects and exhibitions at museums, attacking them for their bad behavior and discriminatory practices right on their own walls. 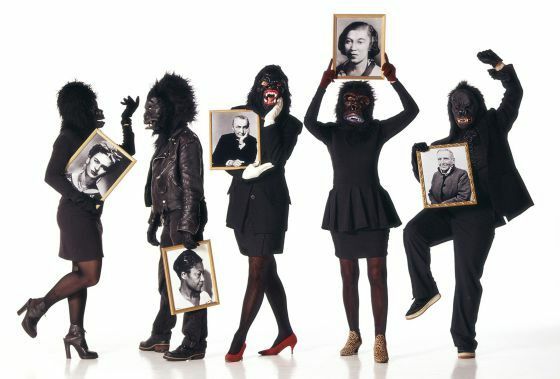 Of these, their stealth project on the façade of the Whitney Museum in 2015 stands out as a very public and publicized excoriation of income inequality and the extent to which the super-rich have hijacked art. 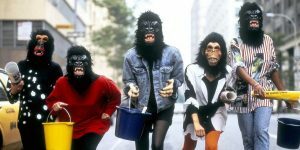 In this latter vein, the Guerrilla Girls have designed a participatory chalkboard installation for visitor “complaints” and covered the Bob Rauschenberg Gallery floor-to-ceiling with an immersive selection of the group’s most notable public art/protest poster campaigns. 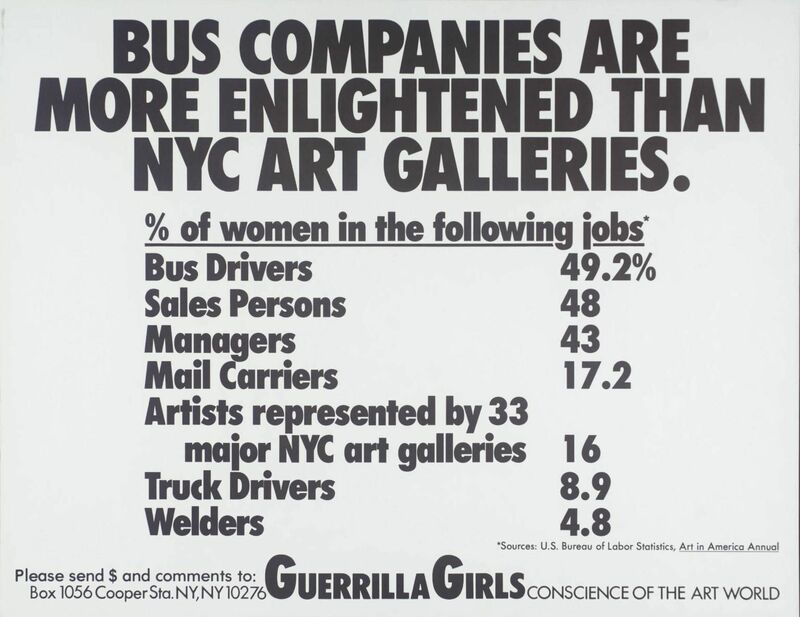 Today, the posters are highly-valued works of art. 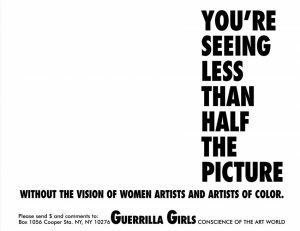 But their oeuvre is far more expansive, consisting of billboards, performances, protests, lectures installations and limited edition prints. 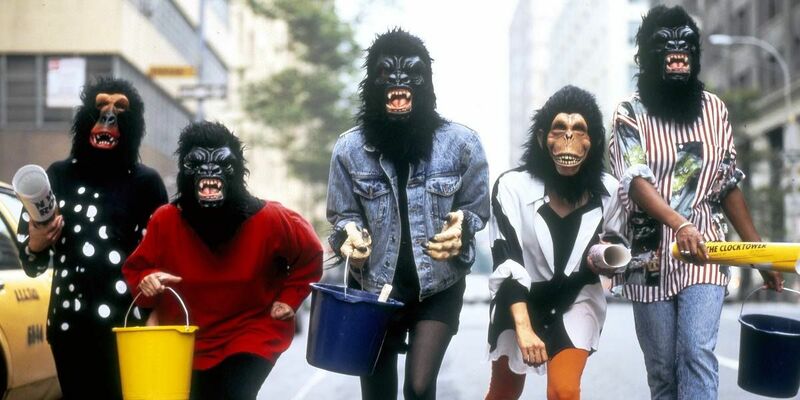 But who are these intrepid women? 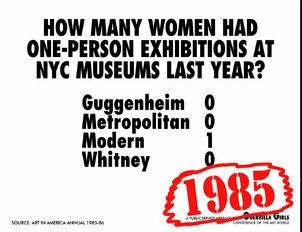 Their decision to remain anonymous operates as a poignant metaphor for the experience of women in art. 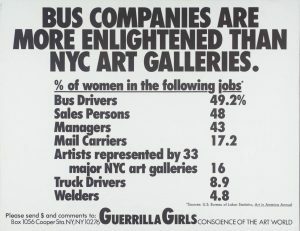 At the time of the group’s formation, many art history courses taught at colleges and universities around the world failed to include a single female artist. In admitting only women to the group, exclusively by invitation, “the group mirrors power circles in the male-dominated art world,” adds The Art Story. 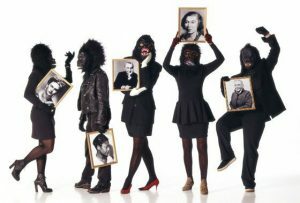 But wearing the mask is also liberating. 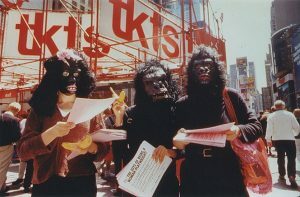 The subject of recent retrospectives in Europe and a traveling U.S. museum exhibition (Guerrilla Girls: Not Ready To Make Nice) and as guests on The Late Show with Stephen Colbert, the Guerrilla Girls have been speaking up and speaking out to demand change for more than three decades. And they show no signs of letting up any time soon. 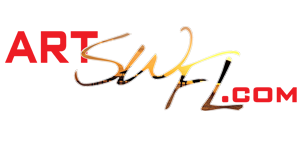 This exhibition and an adjunct billboard project have been made possible by the generous support of the Diamond District and The Beaches of Fort Myers & Sanibel. 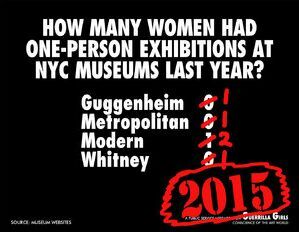 For additional information please call: 239-489-9313 or visit www.RauschenbergGallery.com.